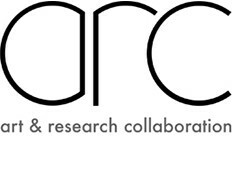 The content of the Art and Research Collaboration (ARC) programme is very directly determined by each student’s project area, developed through ongoing experimentation and exchange, through small group tutorials, critiques, lectures and presentations. Teaching sessions take place at the LAB, on the main campus at IADT, and also in the studio facilities at IMMA. Students commencing the programme in 2018 will be required to complete 60 ECTS credits in year one (Thursdays, 10am-5pm, October-May) and 30 ECTS credits in year two (Fridays, 10am-1pm, October-January). Introduction to critical, theoretical and ethical frameworks for art research, explored through case studies. Practical skills in art research project development, management and documentation, networking, budgeting, fundraising and promotion. Practical research developed in dialogue with the work of an external organisation, potentially supported by ERASMUS internship. Implementation of project plan, supported by weekly tutorials, with input from visiting artist, curators, writers, academic specialists. Completion and presentation of self-directed Major Project.